Please list children living in your household. Family members living in a separate household are to submit a separate form. One Yahrtzeit per line. Please include name, Hebrew name, relationship and date/time of passing. 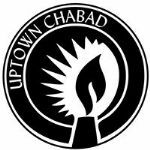 Please note: Uptown Chabad’s open door policy to every Jew remains in full effect. If you feel that your financial situation does not allow for you to pay the standard fees, please contact the office and we will accommodate you. Seat reservations are for adult members of your household only. Interactive age appropriate youth programs will be held for children under 13 years old. I/we acknowledge that membership is subject to the Rabbi's approval. High Holidays with Rabbi B!